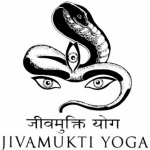 In many Jivamukti Yoga Centers this class is also offered as the International Spiritual Warrior class, which is taught in languages other than the national language of the country while maintaining standard Sanskrit terminology, making it a wonderful language immersion experience. You could actually learn another language by taking this class regularly. Many yoga teachers find that they learn essential key terms in other languages to enable them to teach yoga in foreign countries. Spiritual Warrior and International Spiritual Warrior Classes are best for intermediate and advanced students, although beginners as well as anyone with a sense of adventure are welcome! Spiritual Warrior classes are one hour in length.